Chairs, seating and tables for classrooms, common rooms, staff rooms, offices, receptions, laboratories and technical areas. Our ranges are both stylish, practical and hard-wearing, perfect for all educational environments. Our education sector chairs, seating and table ranges are available from our selected partners. Click on the images below to see all the seating in the range including full specification details. Aero. Affordability and practicality combined with easy to use adjustments and a comfortable, breathable mesh back. Braga flip top tables, lightweight, round or square. Hoxton. Whether around your dining room table at home, in a café, bistro or restaurant the Hoxton is suitable for all environments. Jolly. Create a stylish atmosphere that’s funky and loud, corporate and memorable. Kentra. With its’ strong Italian design features the Kentra comprises both lightweight practicality and simplicity. La Filo. Inspirational Italian design by Alberto Basaglia and Natalia Rota Nodari combining comfort with ergonomics. Loola. Both stylish and comfortable, the Loola has the added benefit of being able to ‘mix and match’ from a palette of 10 stunning colours. Malika. Perfect for training and meeting rooms as the Malika benefits from being stylish, strong and stackable. Marco. A simple, comfortable, lightweight and stackable chair. Which meets all necessary requirements of conference, training and meeting rooms. Mee. Designed with ergonomics in mind and a comfortable, breathable mesh back. Montel. With the inbuilt soft padded cushioning on the back and a generous seat, it gives a high level of operator comfort. MSC soft seating. The MSC is a simple, practical and versatile range of modular seating, with the ability to make various seating combinations. Napoli. Providing comfort and support and easy to use adjustments. Ole chairs. The Ole’s unique shell confidently envelops the occupant, whilst the sweeping curves and robust shell structure demonstrates proportion and style. Piero. This hard working, 4-legged wooden frame stacking chair, brings a natural feel to a learning environment. Pop and Soda. 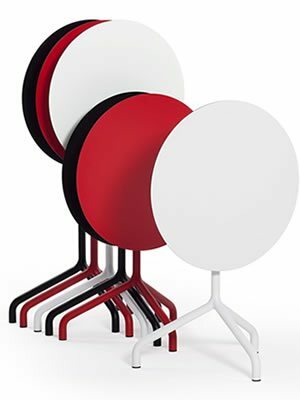 Designed by Giulio Cappellini, the Pop and Soda brings together form and function, being ideal for meeting rooms, conference areas and educational environments. Puzzle stools & mats. Funky and versatile and offers endless configurations to your open areas. Q5. The Q5 is the perfect choice for classrooms, lecture theatres and educational environments. Santino. This operator chair combines affordability and practicality with easy to use adjustments. Shoreditch. Ideal for breakout areas, dining spaces and meeting rooms, the Shoreditch suits all environments. If you know what Education product range you are looking for, simply select it from the list below.